These shot glasses are so cute and popular! 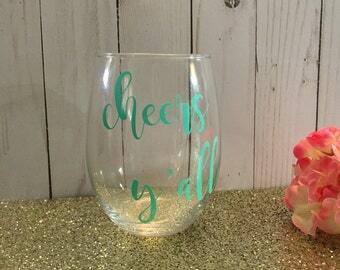 They make a perfect party favor, bridesmaid gift, bachelorette party fun, or just the perfect finishing touch to girls night in. This listing is for ONE personalized 2 oz. shot glass. As seen in the pictures, they come with a colored hue to the glass that is most visible in the bottom and inside and we will either match the vinyl color or pick out a cute, contrasting color if you so choose as we have tons of vinyl colors available. 4. COLOR OF VINYL PERSONALIZATION. 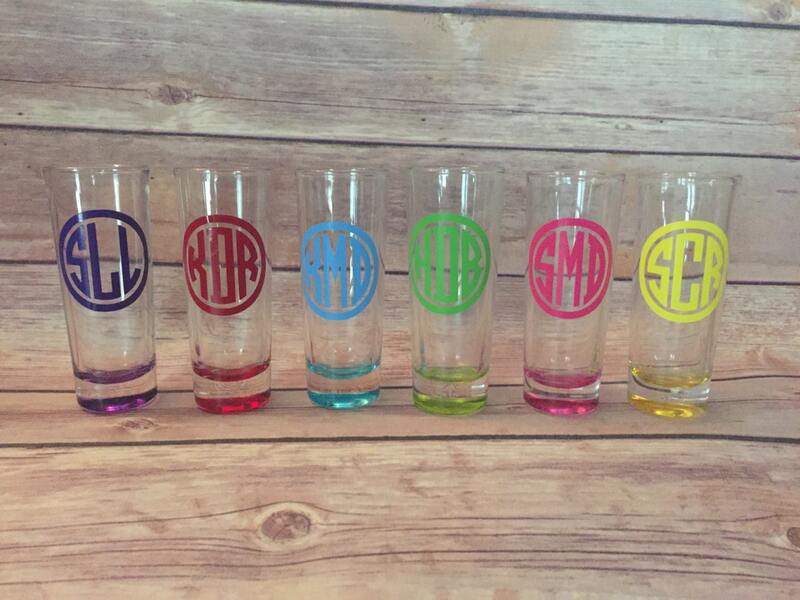 **Important Note to buyer - the shot glasses pictured are for example purposes only. The actual glass you receive may vary very minimally in shape but rest assured, will be color hued as you select and 2oz in size. We receive many orders and carry several styles, all of great quality, and try to fill orders with what is on hand. Also rest assured that if you purchase more than one glass, your glasses will all match in style unless we contact you about using differing styles and receive your approval. If you desire a specific style over another like short/squatty over tall cylindrical then please specify in your Notes To Seller and we will do our best to match your selected style.